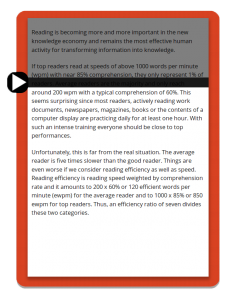 This app will help you read all types of texts faster, more efficiently, and with better retention. The BrainRead App lets you practice important reading skills while you are getting your daily work done. Practicing techniques for faster reading has never been this much fun! Double your reading speed in just a few days! What can the BrainRead App do for you? The BrainRead App is a serious interactive educational software for all platforms. You can use it anywhere and anytime (internet required). Many playful exercises help you to increase your reading speed while improving your retention rate at the same time. The BrainRead App lets you practice important reading skills while you are getting your daily work done. Practicing techniques for faster reading has never been this much fun! Double your reading speed in just a few days! 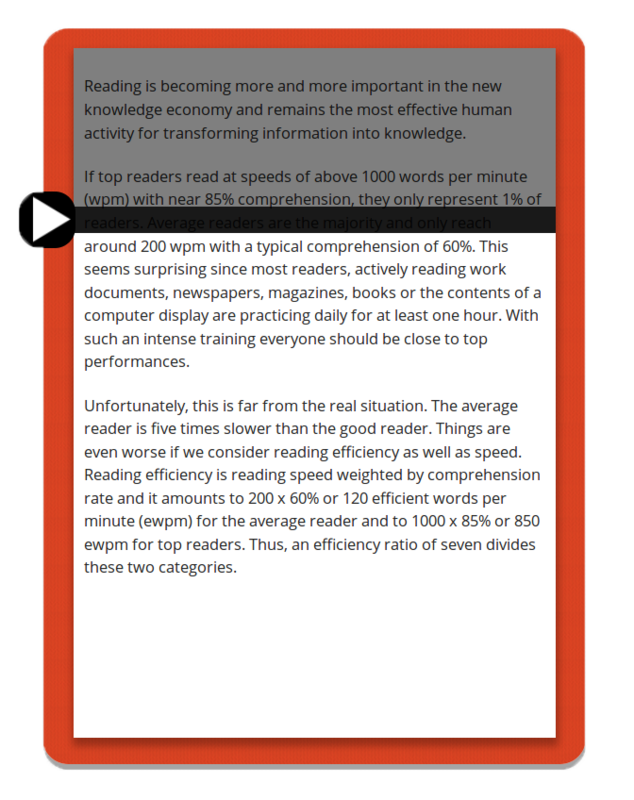 Several different reading speed tests covering a variety of topics are available so you can check your reading speed anytime, anywhere. Comprehension questions following each text help you assess your retention of information. This is the ideal combination for mastering effective reading skills and high comprehension rates. For the best results, train your eyes regularly but not to excess. Who is the BrainRead App recomended for? absorb information quickly so they can make good decisions bases on it. who want to produce higher-quality work and be more competitive in their fields. Anyone working in scientific research, marketing, IT, or healthcare. better understanding of their subject matter. Often feel that reading just takes too long. Often need to read passages twice or three times in order to understand them. Are easily distracted while reading. Have difficulty remembering things you just read.